After a gruelling Test series that saw the home side South Africa white-wash Pakistan, white ball cricket is back in the country with the first ODI taking place on 18th January at St. George's Park, Port Elizabeth. The tourists will be hoping for a better performance from their senior players after the bounced out of the reckoning by Duanne Olivier. As for the South Africans, they will be hoping to continue on their previous win away to Australia and try and find the right balance heading to the World Cup 2019. With both teams doing well in the past couple of years, the match promises to be a highly competitive one. Faf du Plessis(C), Hashim Amla, Reeza Hendricks, Imran Tahir, Heinrich Klaasen, Aiden Markram, David Miller, Duanne Olivier, Dane Paterson, Andile Phehlukwayo, Dwaine Pretorius, Kagiso Rabada, Tabraiz Shamsi, Rassie van der Dussen. With Quinton de Kock given a break after his exploits in the test series, Reeza Hendricks should open the batting with veteran Hashim Amla. Aiden Markam will hope to redeem himself in the ODI format after fairly average results so far in his career. Henrich Klassen should keep wickets with Kagiso Rabada, Duanne Olivier and Dane Paterson completing the bowling attack with Tahir. Andile Phehlukwayo should be given the nod over Dwaine Pretorius in all likelihood. With the team management trying to finalize the squad for the World Cup, we are sure to see a revamped side as to the norm. Possible XI: Amla, Hendricks, Markram, Faf(C), Klassen(WK), Miller, Phehlukwayo, Rabada, Paterson, Olivier, and Tahir. White ball cricket has been Pakistan's stronger suit over the last couple of years with the emergence of talent such as Fakhar Zaman and Shadab Khan. Senior players like Mohammed Hafeez, Shoaib Malik and Sarfraz Ahmed hold key to the Pakistan fortunes. The bowling unit will comprise of the likes of Hasan Ali, Mohammed Amir and Shaheen Afridi who were impressive in the test series. Shadab Khan's all-round skills add to the balance of the side. Possible XI: Imam, Zaman, Azam, Hafeez, Malik, Sarfraz(C&WK), Shadab, Faheem/Imad, Hasan Ali, Amir, and Shaheen Afridi. Wicket-keeper: Klassen and Sarfraz are both viable options to go for with their ability to strike the ball cleanly in the closing overs. While Sarfraz tends to promote himself up the order at times, Klassen should nick the spot with the South African putting up a good show in the last ODI series held in the country. Batsmen: Hashim Amla and Faf du Plessis have been in great form with the South African captain stroking a match-winning hundred against the Australians in their last series. Along with Aiden Markram, the veteran duo is one to keep an eye on. Babar Azam's record in the format is worth envying and is an obvious candidate for the fantasy team along with Shoaib Malik, whose off-spin and fielding ability raking in valuable points as well. All-rounders: Mohammed Hafeez has been decent ever since his return to white ball cricket and with his action also cleared of any wrongdoing expect the veteran to have a say in the match. Andile Phehlukwayo is also a handy option to go with the all-rounder earmarked by South Africa as a death bowler. Bowlers: Kagiso Rabada, Hasan Ali, Duanne Olivier, and Shadab Khan are the ideal set of players to go for considering recent form and ability with the ball in hand. While Rabada and Ali's records speak for themselves, Olivier's recent burst of form makes him invaluable to the team. Shadab Khan's prowess with the bat helps his cause while Imran Tahir could also be slotted in. Captain: Aiden Markram has been in good form over the test series but has underwhelmed in the shorter formats. A player of his talents shouldn't be held down for long with a big innings surely round the corner. Babar Azam and Hashim Amla are also viable options as well. 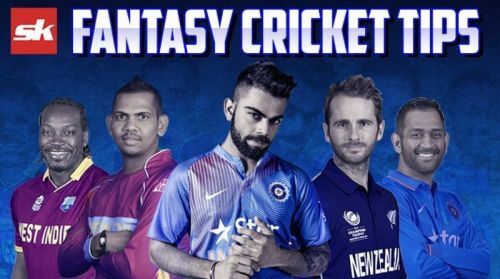 Fantasy Suggestion #2: Sarfraz Ahmed(WK), Hashim Amla, Aiden Markram, Fakhar Zaman, Babar Azam, Reeza Hendricks, Mohammed Hafeez, Kagiso Rabada, Imran Tahir, Hasan Ali, and Shaheen Afridi. Captain: Babar Azam.